The 1969 Mercury Cougar was a serious street machine. 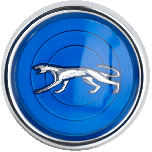 This muscle car developed a strong following that fueled the model nearly two more decades. 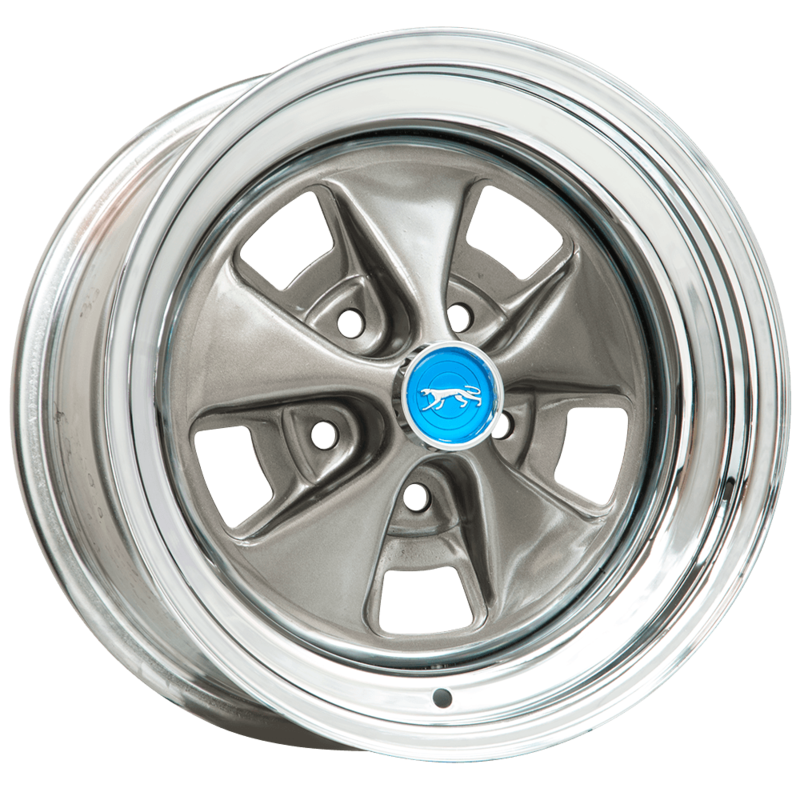 When restoring and 1969 or 1970 Mercury Cougar models, install these premium quality wheels to replace missing or damaged wheels. 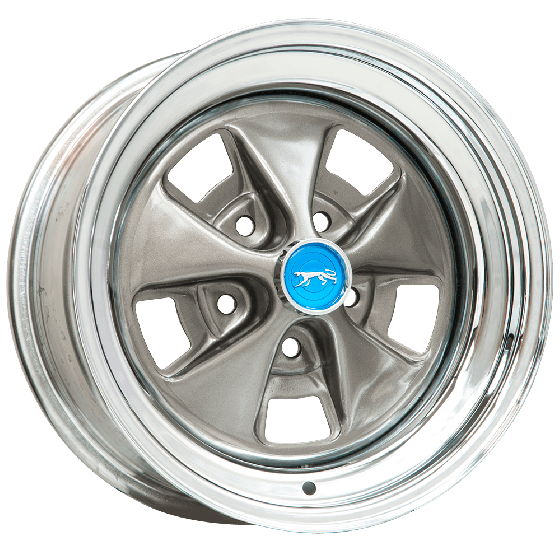 These are detailed reproduction wheels for the 1969 and 1970 model years, and are an excellent way to cap off a Cougar restoration project. 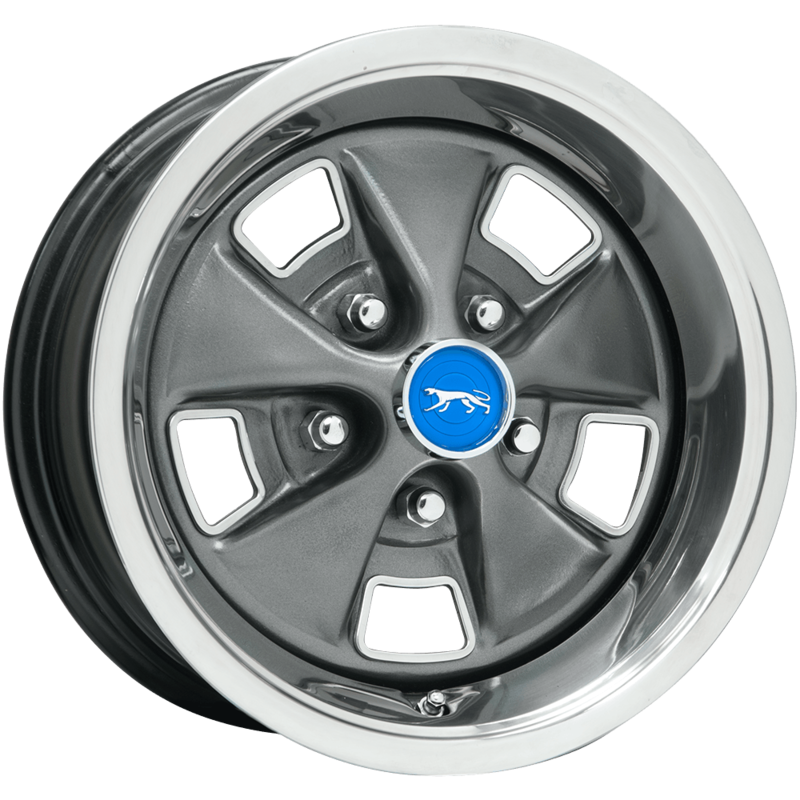 These wheels bolt right ups with 5x4 1/2 inch bolt pattern and ship with an Argent center and chrome outer rim. 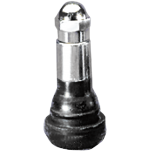 The 14x6 wheel also has the option of a black outer rim. The Black outer rim version is shown with cap #697CCC and trim ring #TR146FM Accessories sold separately.